Class-leading particle sizing performance in a compact footprint. Intuitive software with built-in expertise to ease your workload. Flexible reporting to display your data the way you want it. Rapid and effective wet dispersion. Fast, reliable particle size measurement of fragile and cohesive dry powders. Mastersizer know-how throughout, for results you can rely on. 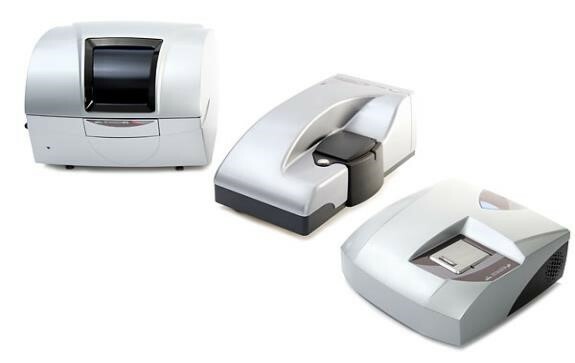 With the ability to be supplied with interchangeable laser modules and the introduction of a motorized 6 place filter wheel means different fluorescent labels can be analyzed.. Sample temperature is fully programmable through the Nanoparticle Tracking Analysis (NTA) software. This versatile instrument offers the major benefit of a new enhanced fluorescence detection capability, providing truly holistic analysis. The 6 place fully software-controlled filter wheel means automated analysis of multiple fluorescent markers can be performed without the operator being present, freeing up valuable researcher time. Simultaneous measurement of multiple characteristics, saving time and sample volume. User friendly software with easy setup of SOPs for routine use. Choice of up to 6 different filters in a motorized wheel provides flexible fluorescence detection capability. 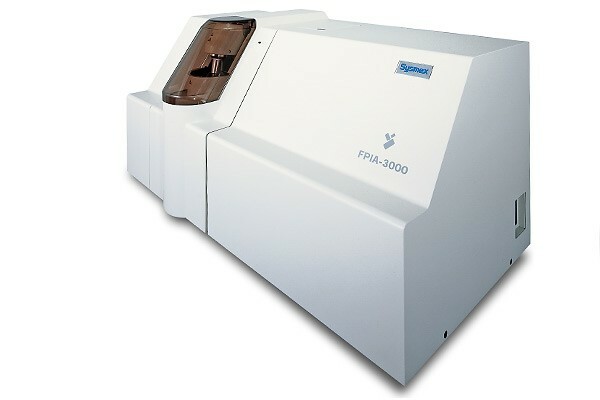 Sysmex FPIA3000 designed with the needs of a busy QC lab in mind, the FPIA 3000 makes size and shape analysis of particles in suspension a straightforward and routine task. All of the sample preparation, measurement and cleaning can be taken care of by the instrument itself. Equally the unparalleled image quality and flexible software makes it a highly effective R&D tool. Measures materials from 0.8µm to 300µm. Fully automated analysis and self-cleaning in approximately 2.5 minutes. Unique sheath flow technology keeps even the smallest particles in sharp focus. Simple easy-to-use operation, ideal for routine QC analysis. 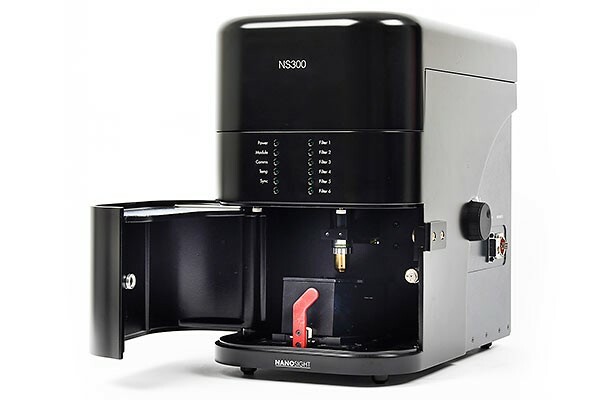 In-built sonication option for difficult to disperse samples. 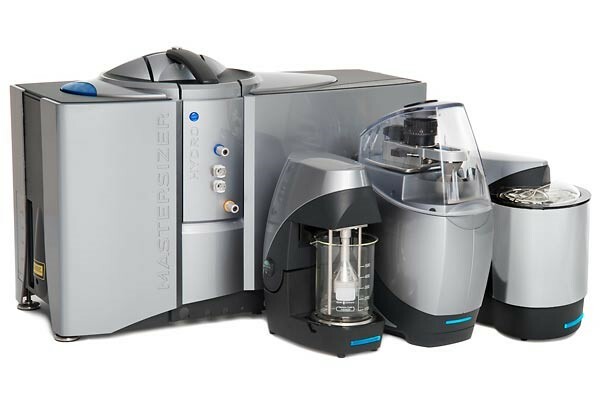 Malvern Viscosizer TD is an automated biophysical characterization tool utilizing Taylor Dispersion Analysis and providing ultra-low volume, solution-based molecular size and stability measurement capabilities, combined with Poiseuille flow for relative viscosity assessment. Viscosizer TD offers biopharmaceutical researchers an orthogonal technique for conformational stability analysis, which is unrivaled in extending into label-free measurements in highly complex solutions, and encompasses a critical size range from small molecules through to protein-based systems. With 30 years of chromatography and light scattering experience, the Viscotek GPC/SEC systems and detectors from Malvern provide solutions for all applications of proteins, synthetic and natural polymers. 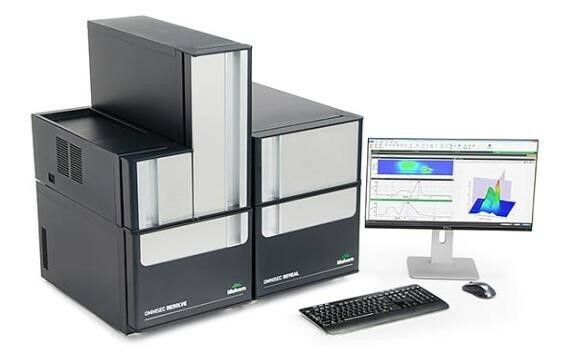 Complete systems are available as out-of-the-box solutions for macromolecular characterization. Alternatively, upgrade an existing system through the addition of a modular detector. The entire Viscotek range is backed by the Malvern’s global support and training network. 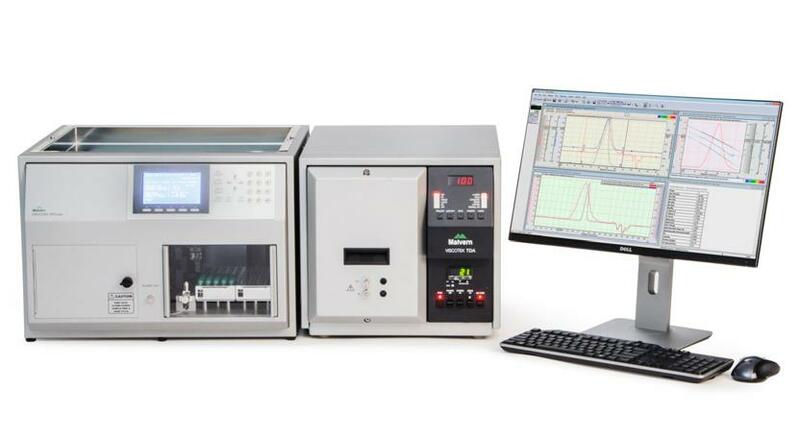 Malvern’s OMNISEC is a Gel Permeation Chromatography (GPC) / Size Exclusion Chromatography (SEC) system for the measurement of absolute molecular weight, molecular size, intrinsic viscosity, branching and other parameters. 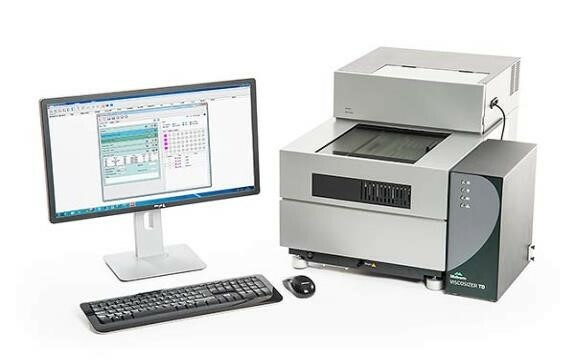 It includes OMNISEC RESOLVE, the integrated GPC/SEC module, OMNISEC REVEAL, the integrated multi-detector module and OMNISEC software for the characterization of synthetic and natural polymers, and proteins. OMNISEC is a powerful tool for taking control of the performance, quality and value of your product, whether that’s a synthetic polymer in industry, a natural polymer or polysaccharide used in food or pharmaceutical products, or a protein or antibody used in biopharmaceuticals. As a research tool, it accelerates research into these molecules by providing absolute information for a wide range of applications making it an ideal tool for universities. It reduces service expense and downtime and increases productivity with easy-to-use intuitive software. 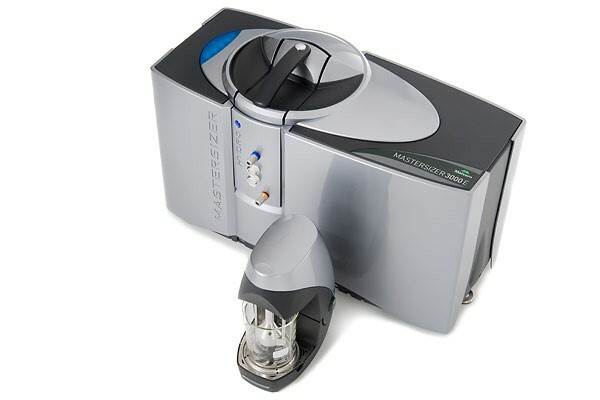 The Malvern Zetasizer series measures particle and molecule size from below a nanometer to several microns using dynamic light scattering, zeta potential and electrophoretic mobility using electrophoretic light scattering, and molecular weight using static light scattering. In addition the system can be connected to a GPC / SEC system to use as a chromatography detector. The system is available in a range of variants that allows you to select the best system for your application and budget, and the philosophy of the design is to ensure exceptional ease of use and give confidence in the results without compromising performance.